Success! You will be notified via email when Dr. Group's Secret to Health Kit is back in stock! Learn How You Can Benefit From the Secret to Health Kit! What is Dr. Group's Secret to Health Kit? What's included in Dr. Group's Secret to Health Kit? Knowledge is power and in this amazing combo-pack, Dr. Group presents what he has learned after twenty years of counseling and helping people achieve better health. In the thought-provoking DVD, The Secret to Health, he reveals the secrets the medical establishment chooses to ignore and exactly how you use them to maintain a healthy body. Learn about Dr. Group's motivation to share this information. 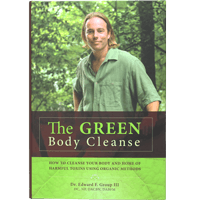 In The Green Body Cleanse, Dr. Group teaches you how to detoxify your body so you can achieve and maintain healthy living. Read chapter one for free! (PDF). The Secret to Health DVD reveals information that has been suppressed by the medical establishment and shows you the secrets to overcoming disease and living a happier, healthier life! Don't follow the medical establishment's approach of addressing symptoms while ignoring the cause, this is a waste of time! Restore your health and take control of your body today! 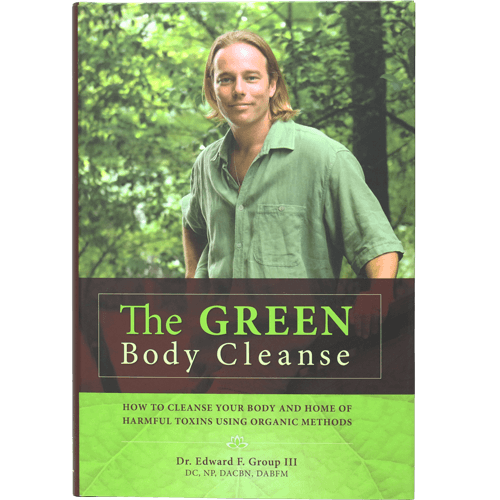 Dr. Edward F. Group III has compiled more than twenty years worth of research and results into his latest groundbreaking book. He reveals what he has learned during his career counseling people with serious health conditions. Learn the sources of toxins in your diet, home and workplace, and how they may cause sickness & disease. Improve your health by cleaning the air, water and food you consume on a daily basis. This eBook contains valuable information that everyone needs to make better decisions. A typical floor exposes babies' to four cigarettes worth of pollution in the form of mold, mildew, and dust mites! Constipation is a side effect of many pharmaceutical drugs! Unnecessary medical procedures and prescription drug accounts for over 700,000 deaths annually! You can have a healthier body by cultivating a healthier environment. We are sure you will see and feel the health benefiting results of Dr. Group's Secret to Health Kit. Learn to Live a Healthier Life Today! Are environmental toxins a serious problem? Whenever you come in contact with genetically modified foods, pesticides, meat, dairy, soy, white flour, table salt, MSG, microwaved foods, refined sugar, and artificial sweeteners, your body is at risk of absorbing toxins. Many everyday products are contaminated with toxic impurities and we believe most diseases are caused by toxins overloading the body.